Enlisted soldiers and warrant officers can now count some of their time spent working in certain specialties toward earning a nationally recognized journeyman certificate for a trade position when they leave the Army. Army Training and Doctrine Command has partnered with the U.S. Department of Labor and the Navy to allow soldiers to enroll in the United Services Military Apprenticeship Program, or USMAP. There are currently 127 military occupational specialties spread across 18 different career management fields that soldiers can choose from when they self-enroll in the program, Capt. Chase Standifer, staff action officer for leader development at TRADOC, said. "It's letting soldiers get credit for the job they are already doing. It allows them to use those on-the-job hours and get a journeyman certificate in a given trade," he said. USMAP falls under the Navy's Education and Training Command and is backed by the Department of Labor, or DOL, Standifer said. DOL officials coordinate with "industries across the country and say, 'Hey, for these jobs, what do you guys want a journeyman to have to do to be qualified?' " he said. "So when you take this to a company and say, 'I have done 6,000 hours to earn my journeyman certificate as a welder,' that means more than going to a local trade school and learning book answers to welding." Soldiers must go to the USMAP website to start registration. "You go in and pick your MOS from a drop-down menu, and that will bring up a list of all the trades available to that particular MOS," Standifer said, adding that the site explains how many hours are needed for a specific job. 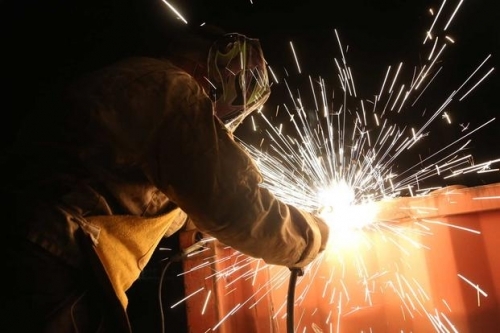 "For a welder, that entire trade takes 6,000 hours of work to complete. And that is broken down into multiple skill sets, so some examples of that are using and maintaining basic tools, metal identification, brazing, soldering and different types of welding. Each of those skill sets has a certain amount of hours." For some trades, soldiers may not be able to earn their journeyman certificate on their first enlistment, said Sgt. Maj. Matt Tran, senior enlisted adviser for leader development at TRADOC. Ranks through specialist "may not get that metal identification experience at that level. They may receive that when they become an E-5 or an E-6," he said. "I know there are some doubters out there ... you know, 'I can't earn this apprenticeship in my first two or three years of enlistment.' You are right, you are not going to," Tran said. "It may take a soldier five to 10 years to complete." Once the soldier registers, the program notifies their leadership, which tracks and verifies his or her progress in the program. USMAP is not just for new soldiers, Standifer said. "There is actually a way to earn limited pre-registration credit, so they can get 1,000 hours of credit for every one year of service, and then those credits can be applied to up to 50 percent of a single trade," he said. "So if I have a soldier with 10 years of service, they are eligible for 5,000 hours of preregistration credit. So if they chose an 8,000-hour trade, they would be eligible to use 4,000 hours." So far, about 350 soldiers have signed up for the program. "In reality, it takes an extra five minutes in the week to log their hours, and they can get an incredibly valuable certification for their transition out," Standifer said. In most trades, "they value these journeyman certificates over, say, a school certificate because it shows you have actually done the job," he said. "It gives you something to hand to industry to prove that you have done it."